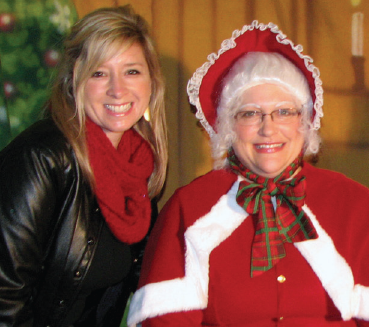 Cambria Pollinger, who has been instrumental in running the city of Ceres’ Recreation Division and its programming for over the past two decades, is leaving her post to become the New Civic Community Center Coordinator for the city of Elk Grove. Pollinger had become the “face” of recreation in Ceres after she started working for the city on Jan. 13, 1998 at the age of 22. She worked in the Management Services Department and was working part-time as the only person in the Recreation Department. From 2007 to 2019, her title went from coordinator to supervisor and she became involved in all of the layers in the development of the Ceres Community Center. She also supervised over 50 different part-time employees and over saw 300 volunteers, helped create an arts and nature program and co-chaired numerous special community events. Three women with a long history of service have been selected to lead an effort by Girl Scouts Heart of Central California to expand programs and form community partnerships in Modesto, Turlock, Merced, Manteca and other nearby communities. 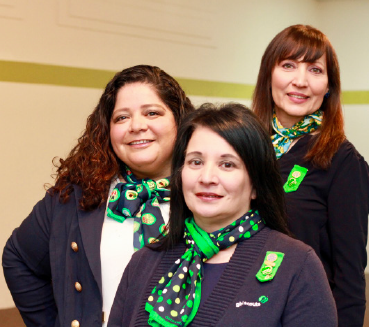 Working out of the council’s Modesto office, Debbie Avila, Zenaida Sanchez and Lisa Vasquez Alba will oversee a seven-county area stretching from Manteca to Los Banos and from Tracy to Sonora that includes thousands of Girl Scouts and Girl Scouts volunteers. “Debbie, Zenaida and Lisa share our passion for our collective mission to build girls of courage, confidence and character who make the world a better place,” said Dr. Linda E. Farley, CEO of GSHCC. “We are thrilled that they will be working with communities to extend Girl Scouts to as many girls as possible in this important region. 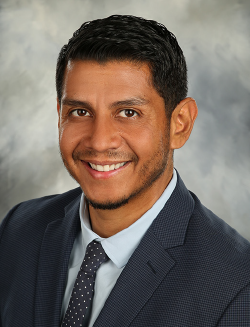 Avila was hired in December 2018 to be the manager of community engagement and membership. She will guide outreach efforts to expand Girl Scouts’ membership. She grew up in Oakdale, where she was a Girl Scout Brownie, and has lived and worked in Modesto, Turlock, Merced and Tracy all of her life. Sanchez is the strategic and community partnership manager. Her responsibility is to build on existing relationships and form new ones with other groups, businesses and individuals to benefit Girl Scouts. A native of Mexico, she has more than 20 years of experience in local community organizations, including the past 11 with Girl Scouts. Alba is the retail sales manager for the Modesto Girl Scouts shop, located on Oakdale Road. She grew up in Modesto and Riverbank, where she belonged to a Girl Scout troop. She began volunteering with Girl Scouts in 1998 and was hired soon after. In recognition of her service-focused work with Girl Scouts volunteers and girls throughout the area, she was awarded the Pat Maneely Customer Service Award in 2018. The new leadership team serves an area that includes Stanislaus, San Joaquin, Merced, Tuolumne, Calaveras, Mariposa and Amador counties. Avila, Sanchez and Alba are based in Modesto, where GSHCC has most recently opened a STEM (Science, Technology, Engineering, Math) Center + MakerSpace. Since its opening, thousands of girls have taken part in STEM workshops, from cutting-edge demonstrations to hands-on opportunities to learn more about these key areas that will shape their lives. Michael Hunter Schwartz, dean of University of the Pacific McGeorge School of Law, was named interim provost of the university on March 12. Schwartz, who has been McGeorge’s dean since July 2017, worked with faculty, staff and university leaders to develop a strategic plan for a stronger law school, with a focus on attracting more highly qualified applicants. In fall 2018, the reinvigorated McGeorge saw an increase in applications that was double the national average and welcomed its largest incoming class since 2012. Women in agriculture from the Central Valley and Northern California are recognized each year with Common Threads Awards, recognizing individuals who have made a remarkable and visible contribution to the enhancement of their communities. Locally, Edele Norman, a charter member of the San Joaquin County chapter of California Women for Agriculture and longstanding volunteer with the Ripon 4-H Club and Ripon Future Farmers of America, was named one of five women being honored with the Common Thread North awards. Oak Valley Community Bank announced Hamit Utush has joined the bank as Vice President in the Commercial Real Estate Group. He will be based out of the Sacramento – Capitol Mall Office. Hamit has 15 years of experience in the banking industry, predominantly in the Commercial Real Estate field. 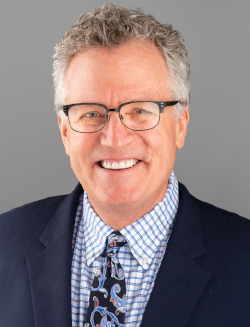 He will be responsible for business development, identifying financing solutions for clients, and assessing commercial real estate projects in the greater Sacramento region. “We are confident in Hamit’s expertise in the Commercial Real Estate industry. His broad understanding of all aspects of commercial banking and real estate finance make him a valuable asset to the bank,” stated Cathy Ghan, Senior Vice President, Commercial Real Estate Group. Utush received his Bachelor of Science Degree in Business Administration/Economics from Saint Mary’s College of California and later returned to earn his Executive MBA. He completed a curriculum from the Certified Commercial Investment Member Institute and is a Keiretsu Forum Academy graduate. Keiretsu is the world’s largest angel investor network. Utush and his family are long-time residents of the Sacramento area and they currently reside in Rocklin. Outside of the office, he enjoys training and coaching all facets of the game of soccer and spending time with his family.